The armor a gladiator wore often depended on their type, although one of the more common pieces of gladiatorial armor was this Gladiator Scaled Leather Arm Guard. This scaled protector offers a modicum of defense, while also being quite lightweight. Typically, a gladiator would only wear one of these, choosing to wear it either over their dominant arm for additional protection or on their non-dominant arm to act as a secondary defense. 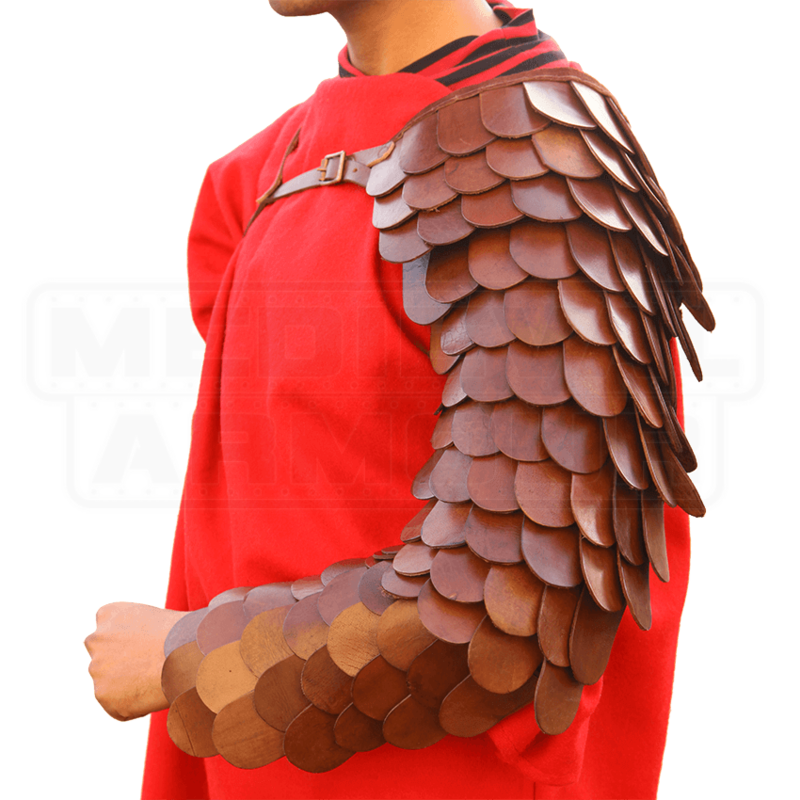 This piece of armor consists of a series of leather scales, all affixed to a leather backing. Attached to the backing are a series of buckles and straps that secure the armor to the arm and shoulder. You do not have to be a gladiator to make use of this Gladiator Scaled Leather Arm Guard, though, as it looks great on warriors of all types, adding a touch of protection to any warrior who wants to remain mobile and light on their feet.